02:22 — Doctor Who: Bye bye, Pond! 04:52 — Avengers Assemble: Storming the ticket sales chart. 07:50 — Community: New episodes but creator sacked. 09:45 — Blade Runner: New film will be a sequel. 10:31 — Tron: Another sequel apparently likely. 11:31 — Shatner: Guest presenter on the BBC’s Have I Got News For You. 12:59 — Christopher Eccleston: Wants more stage work. 13:38 — Ultavox: Brilliant? No. 14:28 – Doctor Who: Nightmare of Eden. 29:42 – Things in Five Words. 35:16 – Red Dwarf 5. 74:05 – Farewell for this podcast! 74:44 — End theme, disclaimer, copyright, etc. Ultravox (some popular beat combo). BBC: Doctor Who – Nightmare of Eden. Wikipedia: Doctor Who – Nightmare of Eden. Adam J Purcell, Andy Simpkins and Keith Dunn sit down, howling, in front of the 2006 Doctor Who story, Tooth and Claw, and spout our usual nonsense! BBC: Doctor Who – Tooth and Claw. Wikipedia: Doctor Who – Tooth and Claw. 02:30 — Doctor Who: New stage adaptations. 03:40 — Misfits: Kelly gets real life community service! 05:12 — Fringe: Final season greenlit. 06:20 — Neil Gaiman: The Graveyard Book coming to the big screen. 08:24 – Things in Five Words. 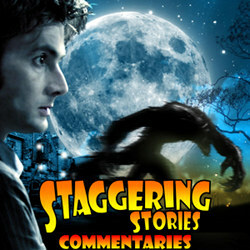 12:31 – Doctor Who: The Dæmons. 38:14 – Things in Five Words. 34:19 – Marvel Avengers Assemble. 65:10 – Farewell for this podcast! 65:44 — End theme, disclaimer, copyright, etc. BBC: Doctor Who – The Dæmons. Wikipedia: Doctor Who – The Dæmons. 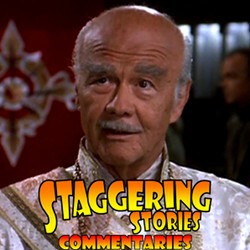 Adam J Purcell, Andy Simpkins and Keith Dunn sit down, collapsing, in front of the Babylon 5 second season episode, The Coming of Shadows, and spout our usual nonsense! 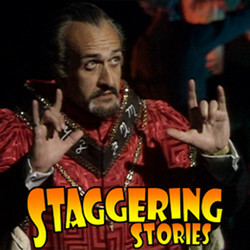 The Lurker’s Guide to Babylon 5: The Coming of Shadows. Wikipedia: The Coming of Shadows.